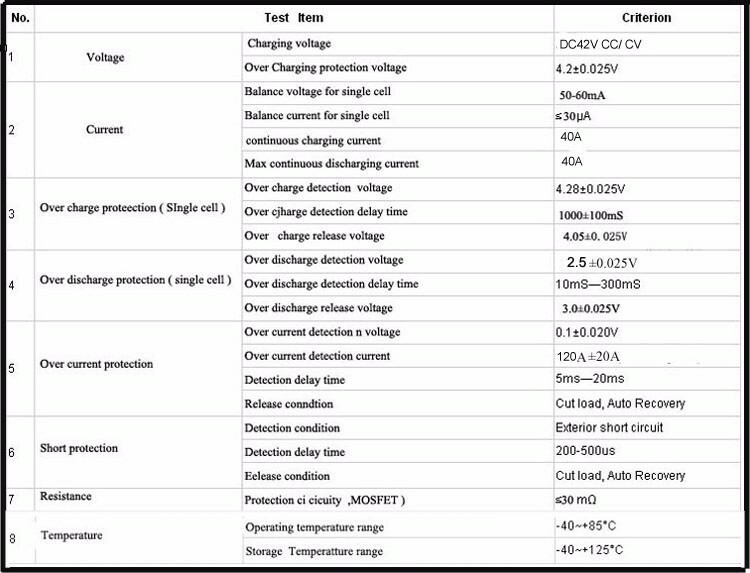 2) With full set of protection such as :over-charge and over-discharge protection function , over-current protection ,short-circuit protection,high temperature detection protection function ,automatically balance function etc . 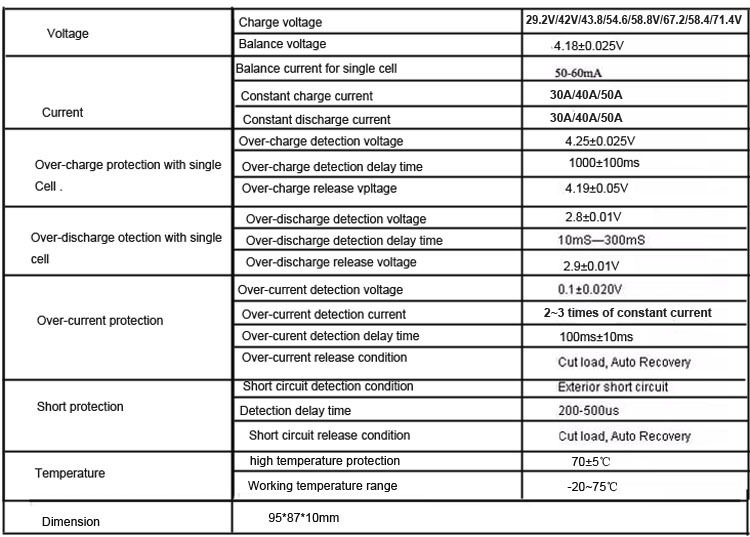 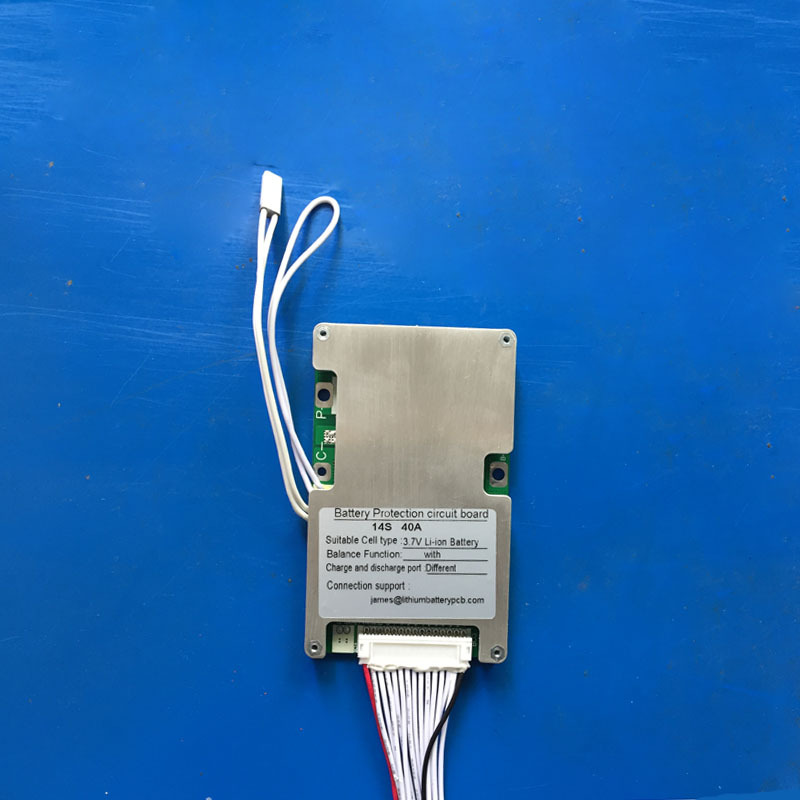 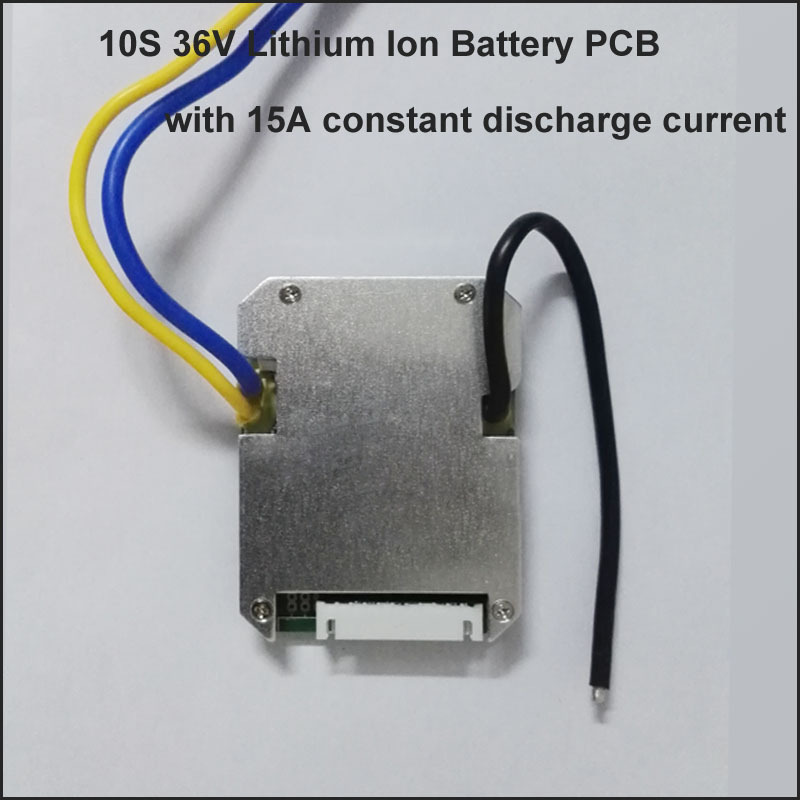 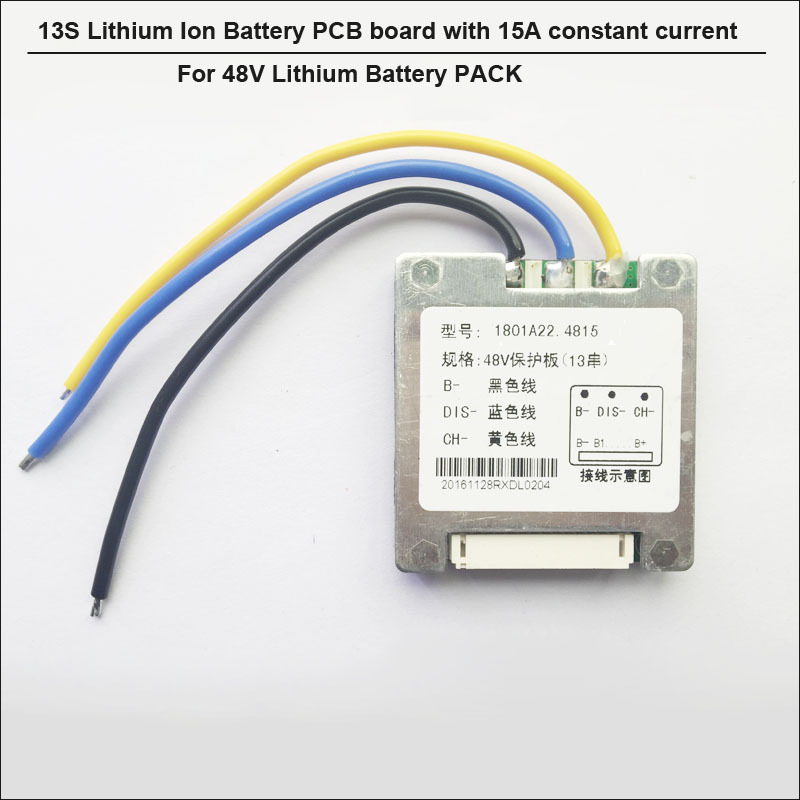 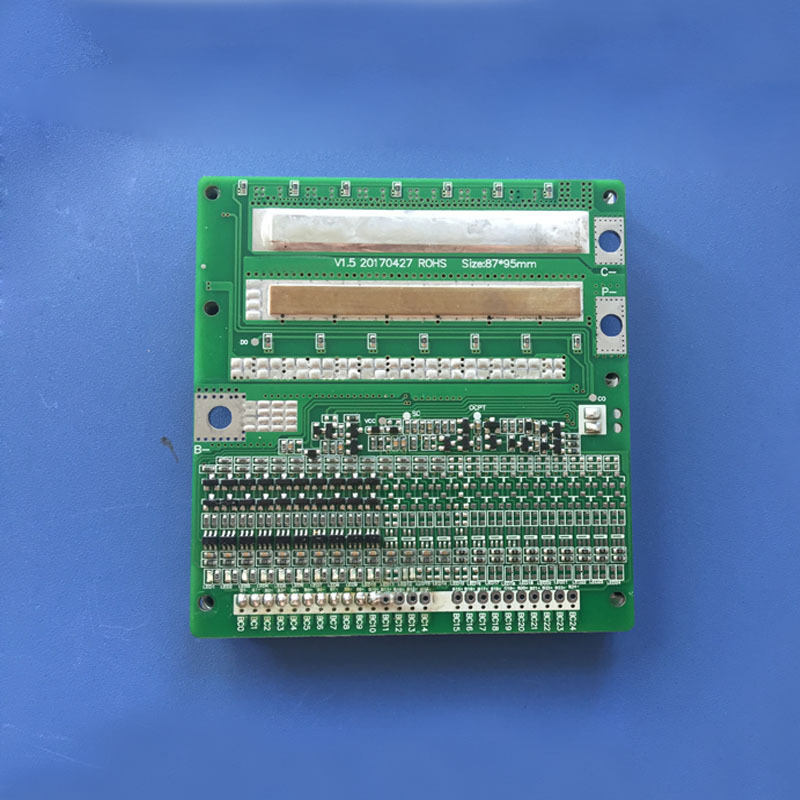 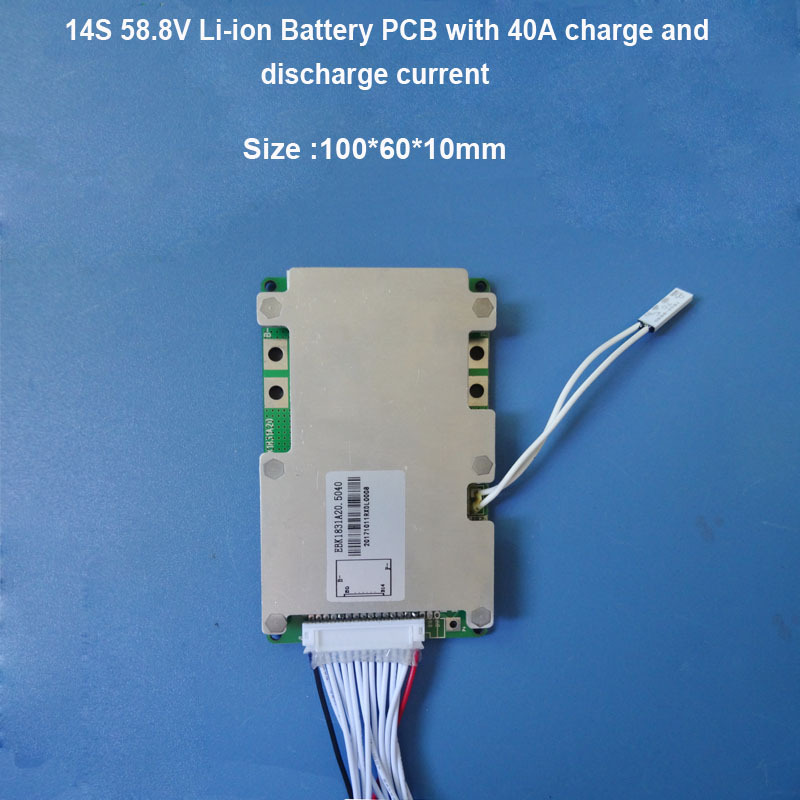 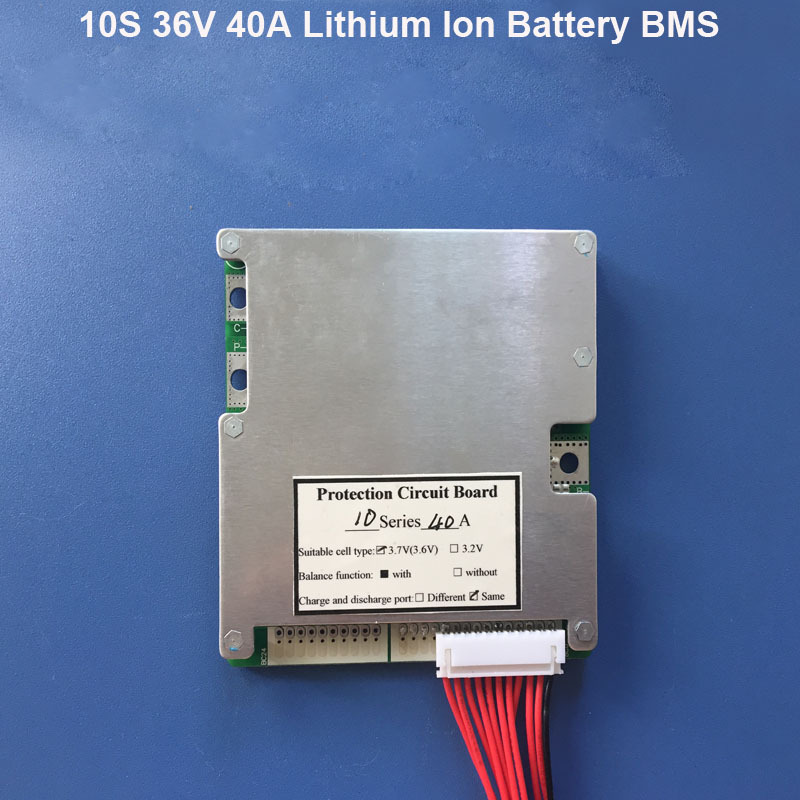 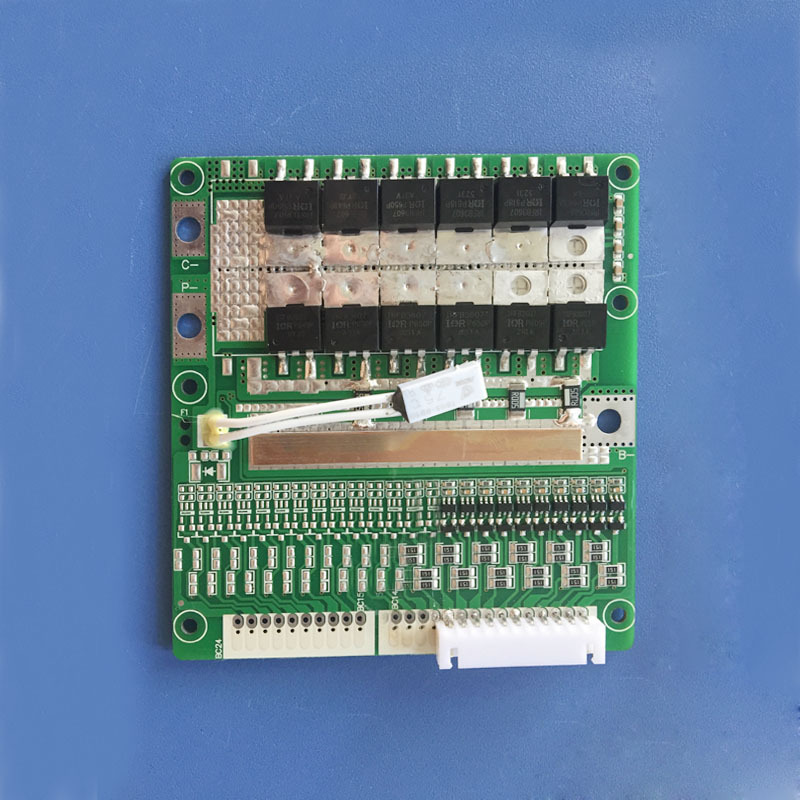 4) Dimension : L*W*H= 95*87*10mm .the charge and discharge port can be different or same .as for the same charge and discharge port , the BMS can allow the same charge and discharge current . 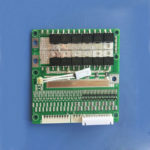 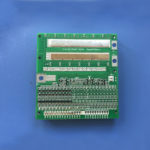 4) Do not shock this PCB with big static even though the PCB has been designed with anti-stastics protection function.